If you are a responsible parent, you cannot allow your kids to view websites which are not appreciated at their age. Google provides SafeSearch options for you to protect your kids from watching unwanted websites and domains. However, most kids know how to disable SafeSearch feature and access restricted websites by Google Search. Here I suggest a method to set permanent Google SafeSearch lock on a computer which cannot be disabled by simply choosing turn off protection option. It is a browser level lock to stop showing unwanted search results and can be done on major browsers like Firefox, Chrome, Opera, Internet Explorer etc. 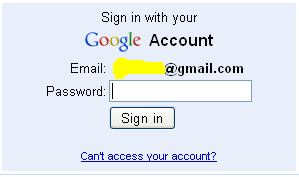 In order to set permanent SafeSearch lock on a browser, you should log in to your Google account. After configuring this lock, it will work on that browser even if you have logged out from your account. Since it is a browser level block, you must perform the same steps on all browsers installed on your laptop. For example, the lock you set on Chrome doesn't mean Firefox has the same block unless you set it on Firefox too. It is under SafeSearch Filters and you will be prompted to log in to your Google account. Now it will show you a message "Locking SafeSearch across all Google domains". When the process is finished you will see the following message. "SafeSearch is locked across all Google domains"
How Would I Know Safe Search is On? You can easily find out whether Safe Search is on by checking the following symbol. You can verify the status of SafeSearch on your browser by seeing the above symbol. This lock works on the browser even if you logged out. The browser lock method we explained here is not literally permanent. One can easily break this lock by simply clearing the cookies and browser cache. It is because after deleting the cookies, Google SafeSearch settings will be back to default. So this trick is not as safe like installing parental control programs on your computer to prevent users browse unwanted search on Google. One method to prevent children from clearing the cache and cookies of a browser is to set master password. Once a master password is set, kids cannot remove cookies without typing the secret password. What is The Normal AdSense Click Though Rate Of a Blog? Like you mention, this method can still be turned off by doing some simple things. Kids tend to find these methods out as they get older. The best way to lock safe search onto its strictest setting in Google, Bing, Yahoo, YouTube etc. is to use www.safesearchlock.com. You don't need an account with the website, it works will all modern browsers and with all user accounts on a Windows PC automatically. Works great for me and keeps my kids safe.